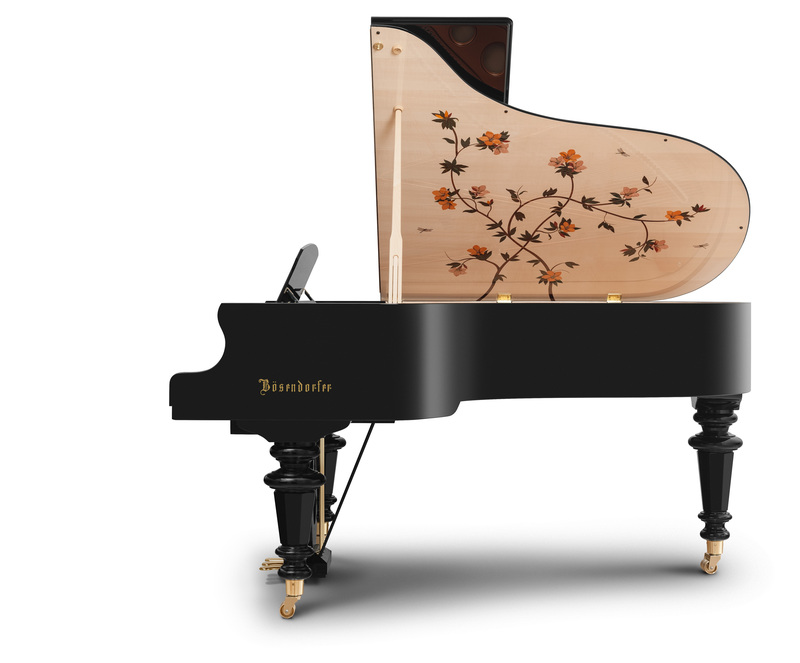 The sublime beauty of the 50,000th Bösendorfer Grand presents itself perfect in form and elegance. This instrument, made on the occasion of the 185th anniversary of Bösendorfer, combines exquisite sound with the aesthetic beauty of neoclassical Vienna. In 1867, the architect Theophil Hansen – who was also responsible for the design of the Wiener Musikverein concert hall – and Anton Grosser designed pianos for the World Exhibition in Paris. In a sense, both of these original instruments are the godfathers of Opus 50,000. Gustav Klimt, one of the most famous Austrian painters and artists of the Viennese Art Nouveau, and Bösendorfer greatly represent Austrian culture, dedicated craftsmanship, as well as artistic expression. The second model of our Klimt Series is dedicated to the portrait of Adele Bloch-Bauer. In the late 1970s during a concert in Vienna, Peterson turned to his impresario, Norman Granz, with the words: "Dammit, Norman, where does this box go? I also gotta have such a thing!" This was the beginning of great friendship. Peterson not only treasured his own personally selected Bösendorfer piano model 290 Imperial. He also performed at Bösendorfers 175th Anniversary Concert “A night in Vienna” at the Golden Hall of the Musikverein in Vienna. 2002 he was honoured to receive as one of the first and only the Bösendorfer Lifetime Achievement Award. The Oscar Peterson Signature Edition Grand was created in collaboration with the “Estate of Oscar Peterson” which preserves Peterson’s legacy. Our model “Butterfly” with its exceptional marquetry work is a tribute to the magnificent gardens of both the Schönbrunn and Hofburg Palaces. Every detail is stained wood inlaid to create depth and shadow in the mural lid. This edition is limited to 9 pianos, each numbered on a brass plate. This piano may be ordered in 2 sizes, model 200 or model 214. Beethoven lived and worked in Vienna for the rest of his life (he died in 1827), helping it to further consolidate its position as the musical centre of Europe. He composed all of his immortal masterpieces here. Ignaz Bösendorfer started his piano manufactory in 1828, the year following Beethoven’s death, and his ideas of sound were very much shaped by Vienna’s cultural environment that was profoundly influenced by - eventually - Beethoven. 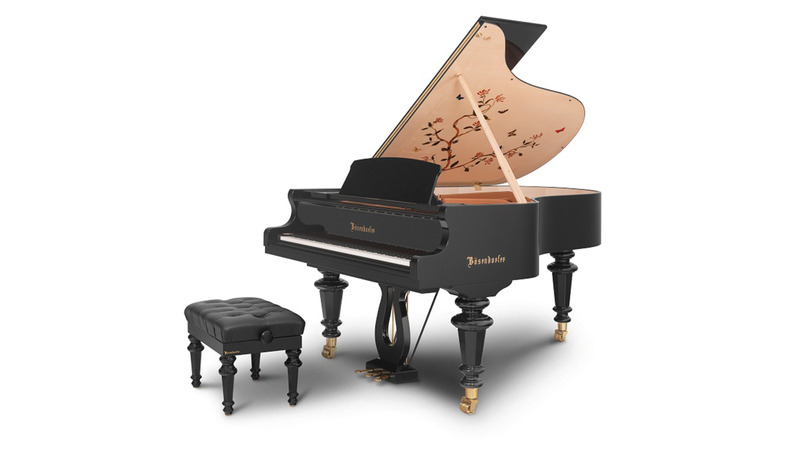 Many distinguished artists have chosen Bösendorfer instruments for their performance of Beethoven’s works. Our Beethoven model celebrates the great composer.